Many areas of the police service in England and Wales are "on the verge of crisis", the president of the Police Superintendents' Association will warn.Chief Superintendent Gavin Thomas will give a speech to the group's conference on Tuesday saying forces are "utterly reliant" on fewer staff working longer. It comes a year after he warned policing faced a "perfect storm" due to budget cuts and rising crime.The Home Office said it is committed to getting officers the support they need. Reality Check: Is police funding fallingDo Corbyn's police claims stack up? Ch Supt Thomas is expected to tell the conference: "I cannot emphasise enough that the delivery of routine policing functions should not be dependent on officers effectively giving their time for free by staying past their shift times or working on leave days. "That exploits police officers and defrauds the public. "As well as arguing policing is now in a worst state than last year, Ch Supt Thomas will say: "I would now suggest that this great service is on the verge of crisis in many areas. "The vision for policing has to be something more strategic than a hope for more collaborations, otherwise we will be in a perpetual state of crisis." Ch Supt Thomas is also expected to urge the Home Secretary, Sajid Javid, and leading officers to take "difficult and bold" decisions. "There is a void in the long-term strategic vision for the police service of the future," he will add. "We need to know what the overall goal is for reform. What are we ultimately working towards? 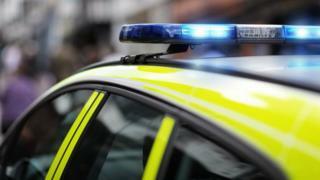 What is the vision for policing in 21st Century England and Wales? "The association has already highlighted concerns about force collaborations after it found some officers spent hours driving more than 100 miles to cover two areas, using two different laptops, IDs and email addresses, all for the same job.Ch Supt Thomas will say: "We have been debating our structures for delivering service to the public on and off for years, and yet have been trying to make the same systems and structures work. "The famous definition of insanity is doing the same thing over and over again and expecting different results." The Home Office said it is carrying out a review of front-line policing to bring about improvements. "The home secretary has made it clear that he is committed to a good working relationship with the police and to ensuring that front-line officers get the support and professional development they deserve," said a spokeswoman. "The ongoing front-line review will help officers and staff to drive change in policing and ensure that the barriers they face on a day-to-day basis are identified and addressed." » Reality Check: Is police funding falling?